How can I stop a sale? Steps to stop a sale. You can Stop a Sale once it has started. 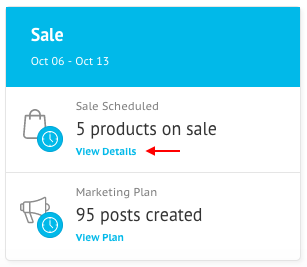 If your Sale hasn't started (is in a scheduled state), you can Delete the campaign. 1. 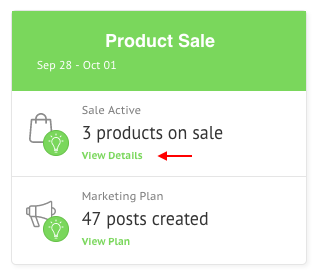 Go to Product Sale in the Marketing tab of your Socioh dashboard. 4. Click on View Details for the campaign that you'd like to stop. 5. Click on Stop Sale in the top-right corner. It'll take 2-5 minutes for your products to be taken off sale. 2. Click on View Details for the campaign that you'd like to stop. 3. Click on Delete Sale in the top-right corner. Why are some of my products still on sale even though my sale has ended?